Worthy Book (Ladies Edition) 2016/17 - Yay or Nay? So... the Worthy Book (Ladies Edition) arrived my doorstep the other day, I didn't have time to actually flip them through and I was so glad that I finally have time to check out what I can get from this book. I mean, don't we all just love discounts?! 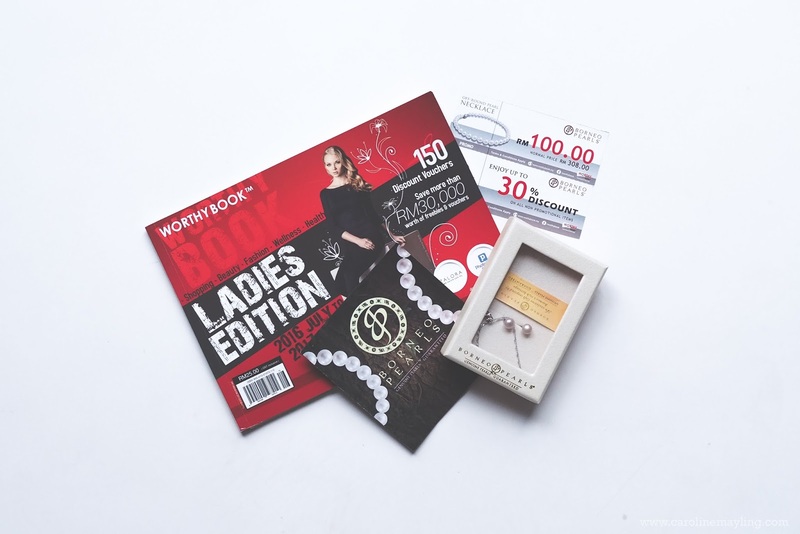 Just so you know that Worthy Book is a voucher booklet for freebies, discounts and deals at some of Malaysia's most popular spots! With a total of 150 vouchers featuring popular shopping, beauty and fashion brands in Malaysia, it's a definite steal for you! Not to mention, it covers over 50 shopping malls in Malaysia which also means you are able to redeem it regardless you're at which states! Most of the services require an appointment, hence you have to call to book your appointment prior redeeming the voucher. 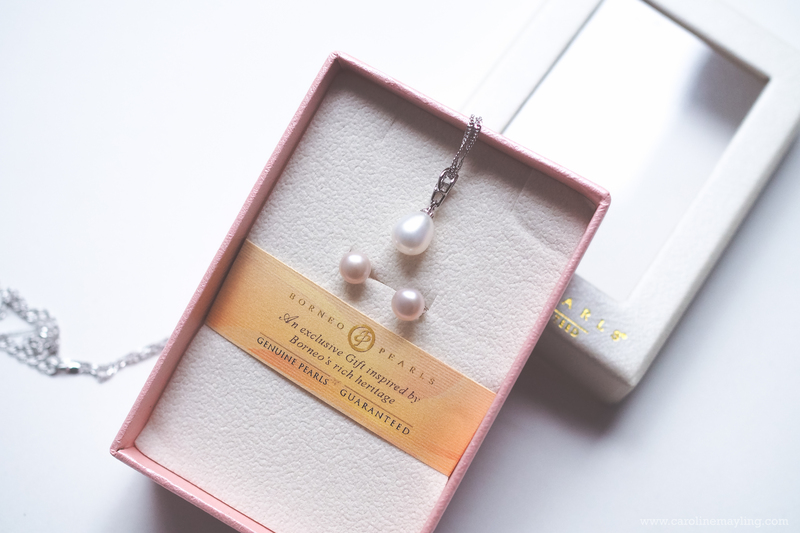 Since we're approaching the festive season, I actually looked through to see what are the discount vouchers that I can use to get some Christmas pressies for my friends and family - and I found these vouchers from Borneo Pearls! Instead of spending RM48 for a pair of earring studs and RM88 for the pearl pendant necklace, I only paid a total of RM76 (RM28 + RM48) for these set! With the vouchers, I actually saved a total of RM60 and I am super pleased with it! I mean, these are genuine pearls, if you know what I mean. I also keep other vouchers in my purse just so I can use it right away whenever I am at the malls. Yes, most of the vouchers are only for new customers. Hence, it's better for you to refer to the terms and conditions behind the vouchers before start using it. As for me, I actually haven't been to most of the beauty outlets and I can't wait to book the services to enjoy some pampering sessions. And oh, the buy 1 free 1 massage deal definitely perfect for BFF pampering session too!